Many abnormalities that require bronchoscopy arise from the airway wall and parabronchial structures (1). There was a need to expand the view of the endoscopist beyond the confines of the mucosal wall (2). 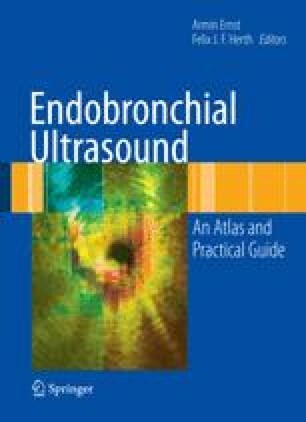 There is evidence that radial endobronchial ultrasound (EBUS) is superior to a conventional computed tomography scan of the lung in evaluating the tracheal and bronchial wall structures, and the parabronchial space ( 3 ). 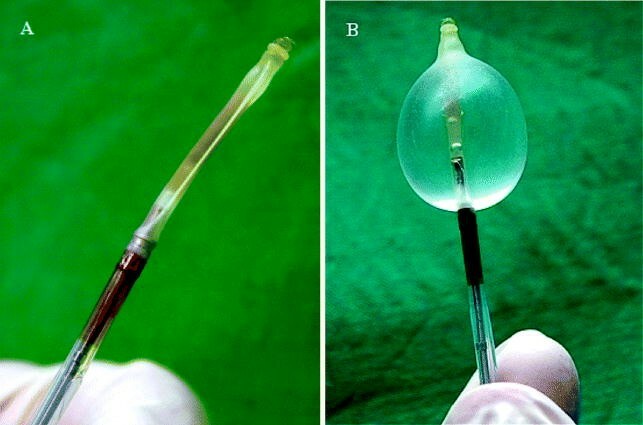 It could serve as an ideal tool for evaluating airway wall anatomy and related tumor pathology ( 4, 5 ) ( Fig. 6.1 a,b).